The Servis Social Hub is the home of our online community. On this page you can see our posts on Twitter and Facebook as well as the latest blog posts. Have your say and share your knowledge and experiences with fellow customers! 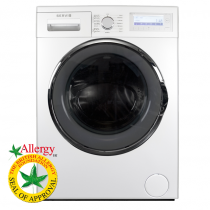 Awarded the Allergy UK Seal of Approval by national charity, Allergy UK, many Servis Washing Machines have been independently recognized for their allergy-fighting power. A mum of four in Hythe, Kent, has received a donation of an Allergy UK approved washing machine from Servis, to help soothe her daughter’s eczema. It is National Dog Day today, so we thought that we would celebrate, by offering some top doggy tips for your home. So, we’re out of the World Cup, but that doesn’t mean we have to stop watching the football. True lovers of the beautiful game know there’s plenty of nail-biting still to come. 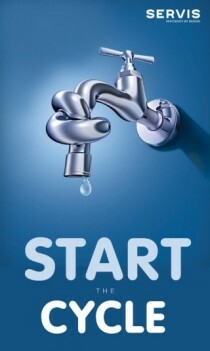 Week four: The final top tips to tackle your water usage! That special time of year is almost upon us, when all over the country cries of ‘love’ and ‘advantage’ echo through still summer air. Accompanied by grunts of effort and the twang of ball on racquet, tennis fever grips most of the population. As well as enjoying watching the professionals, adults see a new way to get fit and kids dream of winning Wimbledon themselves. Week three: Top ten ways to be wise with your water! At Your Servis! Eliminating harmful bacteria with every wash. When we found out that the Servis Hydrodrive Washing Machines had been given the seal of approval by The British Allergy Foundation, we had to find out more. We’re now into week two of the Start the Cycle challenge and our water-wise consumers have been sending us their advice on how to save water in the home. Since it’s Father’s Day on 15th June, we decided to join the celebration with a look at dad’s changing role in the kitchen.